Elegant Bedrooms is a 30-year established family business with a reputation for bespoke quality and guaranteed customer satisfaction. When there’s so much emphasis on visual impact, it’s vital to present a strong image. And it’s just as important to find a way to really drive those sales enquiries too. 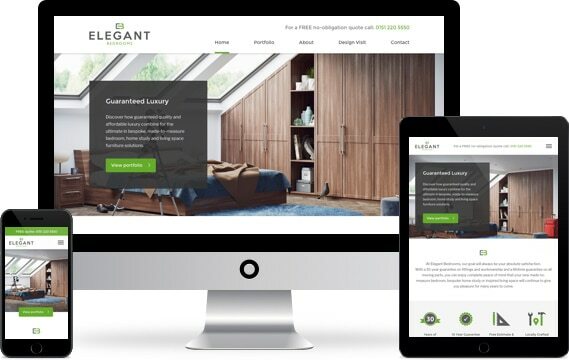 Following a Figment redesign, Elegant Bedrooms now has a sleek online brochure, complete with calls to action that do an excellent job of getting the phone ringing. A Responsive Redesign with Custom Icons & Animations. In an industry where visual appeal is so important, it’s the soft features and sophisticated finishing touches that make all the difference. Our project contact, Elegant Bedrooms director Daniel Burman, agreed. So we set to work creating bespoke designed icons and custom animations and effects. 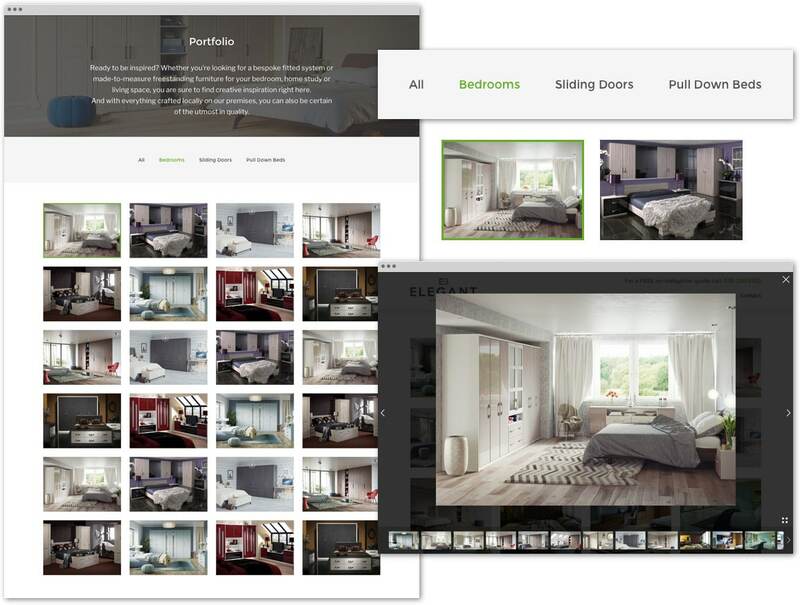 Now the whole Elegant Bedrooms website experience has become a joy for visitors. And with every aspect designed to display perfectly on ANY device, everyone gets to enjoy it, wherever they are. A Clean & Sophisticated User Experience with Clear Calls to Action. Chic, minimalist and purposely understated. 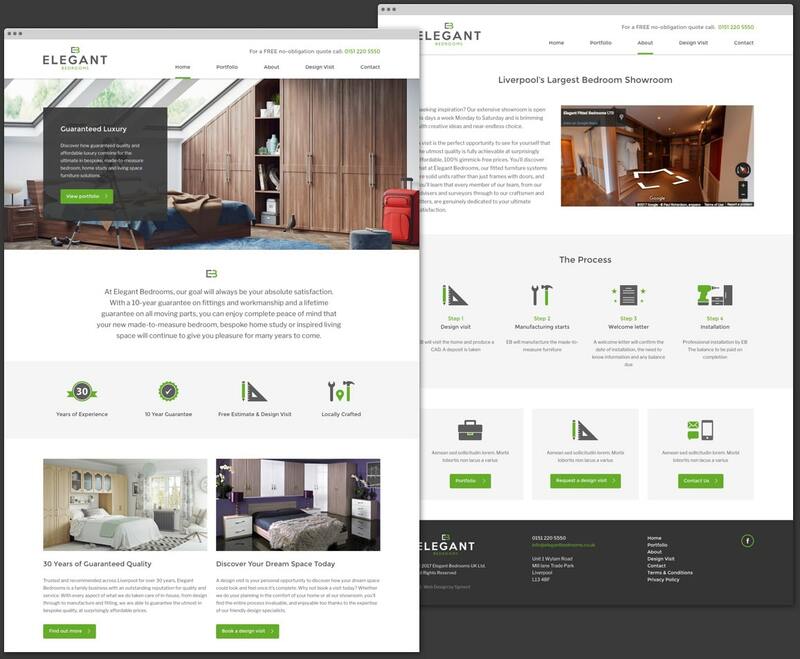 Elegant Bedrooms is known for made-to-measure luxury, and Daniel agreed that customers should know this from the moment they arrived on the website. So we stripped back the navigation, keeping the focus on what was really important. Then we developed clear calls to action across all the pages, highlighted with eye-catching icons, to guide the user through all the key areas of interest. A New Dynamic Gallery. Modern & Minimalist. We wanted the portfolio to be inspirational. Daniel concurred that with such striking imagery, there was no need for unnecessary distractions or fancy gimmicks. Instead, we let the pictures do the talking with a simple navigation that eases the visitor through the categories that interest them the most. Amazing service as usual from the figment team, very pleased with the attention to detail and the finished product was just as we expected. We would recommend to anyone, thanks again.